Many organizations use private clouds to ensure safety and easy handling of data. However, when the number of people who control the data increases, the risk of hackers tampering the safety measures increases too. It is critical to form and implement foolproof strategies to protect the data that’s on the cloud. Though there is strict monitoring of online activities and logins, hackers break in often. There’s no storage system that hasn't been tampered by hackers. To make cloud computing safe, companies use private clouds but these private clouds are no exceptions when it comes to security. All these incidents make companies, especially those who are in the cloud, diffident about their data storage system. There are some tips to strengthen your cloud security. Using a single tenant cloud is very important to manage your data efficiently. Ask your service provider about the data storage location before signing up for their service. If the physical location of data is distributed among different servers, there are high possibilities of tampering and you may not be able to track the online activities effectively. Under single tenancy architecture, a single instance of software is used to serve each client. You can customize the software as per your needs and the data center model you want to have can be designed without any need for changing according to vendor restrictions. All types of data don’t need the same security level. Confidential and sensitive data needs a higher level of security than public data. To make your private cloud secure, classify data based on the levels of security needed. This will help you focus on the safety of most critical data and implement lower levels of security strategy for other types of data. For example, the budget for the different departments needn’t be known to the entire organization, and so the security level of such files should be higher than the security level of other types of files. Configuring firewalls is as important as owning a private cloud. There are multiple ways to configure firewalls. And the responsibility doesn't stop with installing and configuring firewalls. You need to try and test your firewall to detect any loopholes through which your data may be mined out. Try penetrating your own firewall using different methods both internally and externally. It will give you different ideas on how you need to monitor the activities and secure your system. The next best thing you can do is to encrypt the data. This statement seems like a no-brainier because almost all clouds have encryption. However, not all the data in the cloud are encrypted. Most clouds encrypt only data that is in transit. Other data that is stored and is idle is not encrypted. Ensure that even the idle data is encrypted so that you will not end up losing your data and identity. You should also monitor all online activities like logins, file transfers, file sharing, link sharing, password changes, etc. As monitoring becomes difficult when the number of authentications to be done in a day crosses a limit, organizations tend to give up keeping a tight rein on authenticating. This is the most common cause of data loss and hacking. 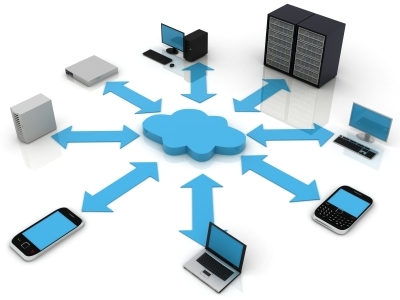 Implementing effective strategies and relying on good service providers are the basic steps to safeguard your cloud. Some of the steps discussed here seem to be complex and unnecessary but you can reap long term benefits by following these.